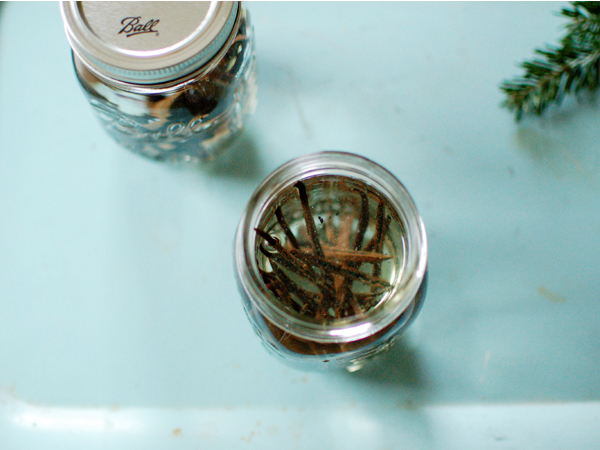 A few weeks ago, Q's brother sent us a link about making your own deliciously homemade vanilla extract. 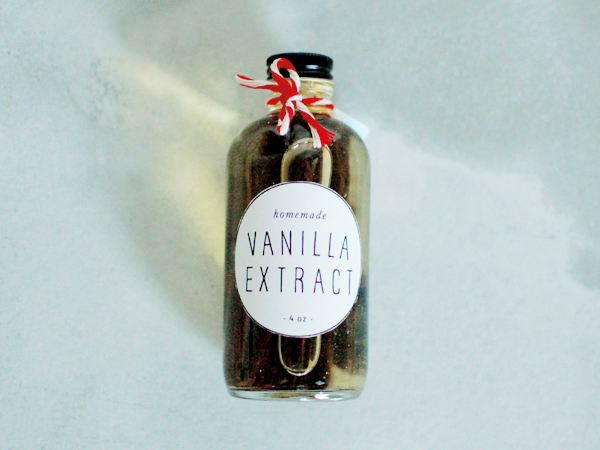 We'd already been putting together a Christmas basket of different little ingredients for Q's parents who love to bake & cook, so the vanilla extract seemed perfect for them (hopefully along with everyone else we plan to give this to!). It was pretty simple to make: I ordered the beans inexpensively here on ebay, found mini bottles in bulk using a promo code here, and picked up one very large bottle of vodka at Target while buying Christmas lights. : ) I made most of it in larger jars, as it takes a month or two before it's ready to be strained and used. Since I needed it sooner for the gifts, I made those right in the mini bottles (1 1/2 beans per 4oz), with a note to the recipients to strain once ready. My sister in-law is also trying this out with bourbon...already looking forward to swapping batches with her and having an excuse to make all kinds of treats! Neat! What a good idea, I may try this for next year! That's a wonderful idea... it's got to also be cheaper than buying it from the store right? 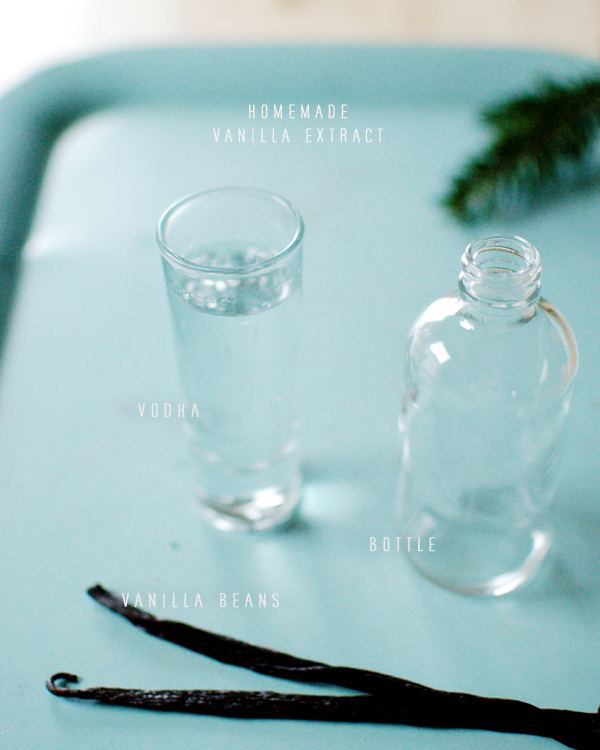 I had no idea that making vanilla extract could be so simple! rooth, I forgot to mention but yes! It is way cheaper to make once you have all the supplies. 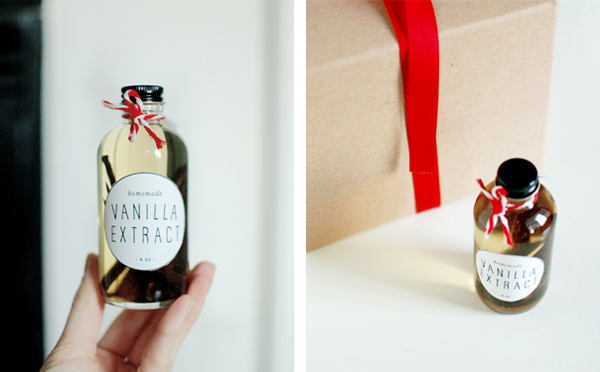 Oooh thanks for sharing your awesome vanilla bean source - I'll definitely be trying this! My friend mentioned she was making some for her gifts this year too. I think it's such a brilliant idea! LOVE this!! I have to try! I receive a gift of vanilla from Mexico and it was sooo much better than the grocery store version. I'm going to have to try this version. Thanks.